← Comment on: Three Primary Habits: FUE! 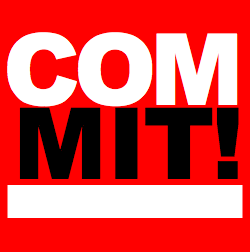 New Discussion: Marketing Our Commitment! Those of us in the marketing and advertising professions understand that the work we do is for our client’s benefit. However, as I talk with more and more prospective clients I continue to encounter the same message. The message is basically: “how do we know that we can trust you?” That’s not a question that I have been asked in year’s past. So, I’ve been digging into why someone would ask that of an established firm. 3) fulfilling the delivery of the marketing/advertising material – on time and, within budget. My own very basic research regarding why my prospects are unhappy with the profession is that a lot of so called marketing and advertising firms fail their client after completed step one. Then step two is fraught with problems, and delays. Finally, step three (producing the campaign and delivering on the marketing/advertising materials) falls way behind schedule – delivery’s are missed – and costs go way beyond budgeted projections. Obviously, all that does is to hurt our profession. So, what can we do about it? Not much – until we get the client’s trust. But, once we do get their trust, we must stand by our commitments to our clients with regard to creativity, costs, and delivery. And, afterwards, it wouldn’t hurt to get a few testimonials from our clients to emphasize our capabilities, and our reliability. This entry was posted in Branding, Business, Design, Marketing and tagged Advertising, Advertising and Marketing, Brand, branding, Business, Business and Economy, Business Services, Business-to-business, Competition, Consulting, Design, Designer, Marketing, Marketing and Advertising, Niche market, Small business, smart business, Target audience, Target market, Television advertisement. Bookmark the permalink.